CONCLUSIONS: Whilst not always engaged in sickness absence management with regards to musculoskeletal pain, chiropractors favour a ‘return-to-work’ rather than a ‘stay-at-home’ approach. Several practice behaviours and perceptions and beliefs are associated with these outcomes; however, system or organisational barriers are linked to clinician non-engagement. In the first phase, we found that the chiropractors’ practice behaviour was governed by the national legislations and policies of their respective countries. The rationale for engaging in SAM was related to the perceived level of competencies, an obligation to society, and to optimise favourable patient trajectories. For some chiropractors, SAM was highly integrated in their clinical care, but for others, it was not. 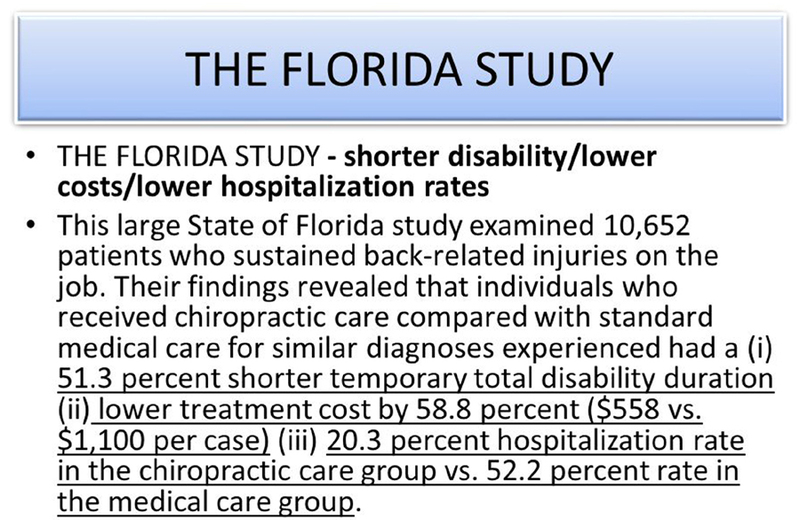 The perceived barriers for engaging in SAM were related to patients’ and other stakeholders’ definition of the chiropractors’ scope of practice, patient out-of-pocket expenses, the administrative burden versus level of honorarium, and the lack of communication with other stakeholders.